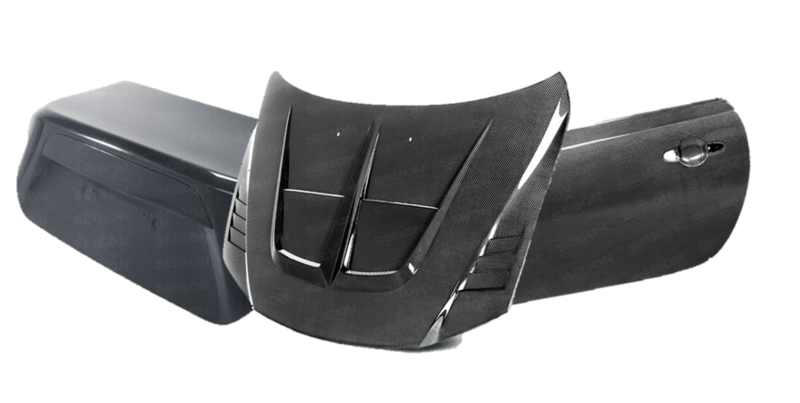 Carbon fibre is a wonder material that will massively enhance your car’s performance and durability, and there’s no one better at making parts out of it than Seibon. We’ve really proud to have their carbon fibre range of doors, boot lids, bonnets and so much more on show for you. Seibon are a bunch of car aficionados who really care about the quality of the products they make, and it shows. Some of their parts have been featured in TV programmes, films, magazines and car shows all over the world and they’ve got dealers in places as far flung as the US, Dubai and Singapore. This stuff is the future of motoring and you’d do very well to get some of it on your car. Carbon fibre is pretty amazing stuff. When combined with a polymer, it can be moulded into whatever shape you’d like; bonnets, doors, spoilers etc. This combination makes a fibre-reinforced plastic that’s both stronger and lighter than steel or aluminum - absolutely perfect for making car parts out of. Here at Tarmac Sportz we think it’s fantastic stuff that will enormously enhance the strength and performance of your car. These gear heads came together in 2003 after realizing that there was a massive demand for carbon fibre automotive parts. They strived to make the absolute best quality components for those who have the same passion about motoring and excellence that they’ve got. Stylish and functional, the components they produce are all designed in-house by an expert team of thinkers and innovators. Because carbon fibre is such a high-tech material, Seibon use all the latest methods and equipment, with a highly trained team, to put their products together. They are always trying to find new ways to improve the design and manufacturing process, and they take customer suggestions very seriously, in order to improve their products. All of their parts are made from US or French-made carbon fibre and their construction involves several steps of rigorous quality control. This commitment to quality and safety is something that drew our eyes towards Seibon. Seibon are all things carbon fibre; bonnets, doors, boot lids, spoilers, front wings. Everything your car needs to keep it covered. They even extend beyond carbon fibre, with kevlar racing seats that are designed to be light, comfortable and very strong. 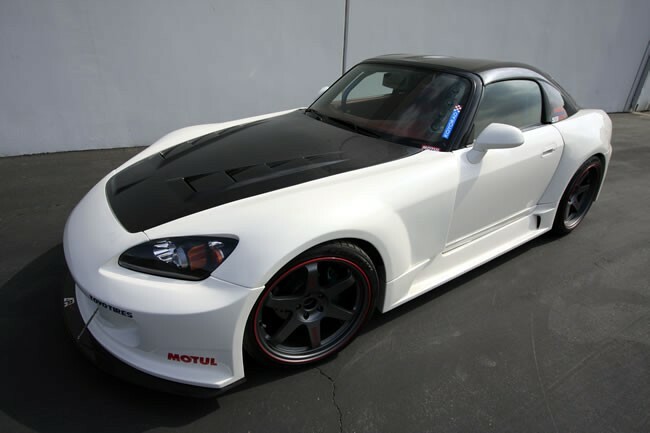 They make parts for a huge variety of different models including; Audi TT, BMW 3 Series, Honda S2000, Infiniti G35, Lexus IS300, Mazda MX5, Mitsubishi Evo X, Nissan 350z, Subaru Impreza, Toyota Celica, VW Golf and many more. Every single component they produce, no matter what it is, has been thoroughly checked and tested for faults and weaknesses. Seibon are obviously very confident of this quality, because they offer a manufacturer’s warranty with every single one of their products. Here at Tarmac Sportz, we’ll never sell you anything that we wouldn't stick on our own cars - your safety is absolutely paramount. Seibon have got passion, expertise and quality by the bucketload, why don’t you see for yourself?